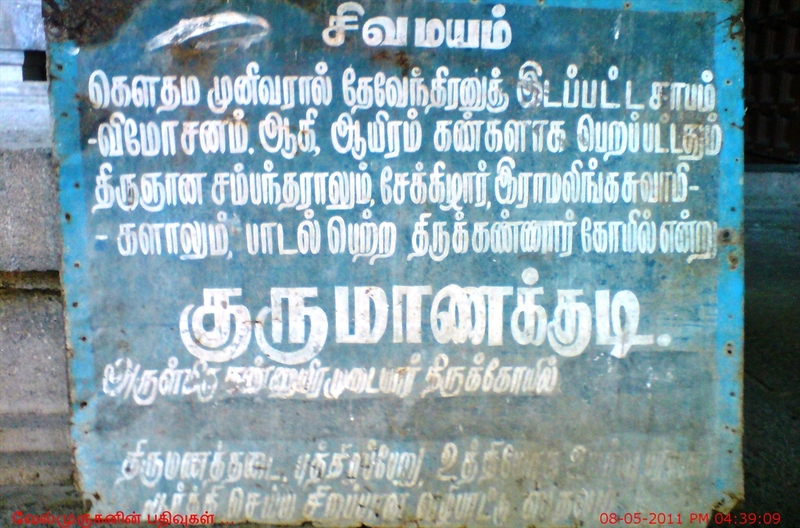 Kurumanakudi is very small village near Kathiramangalam & Pagasalai in the route Vaitheeswaran koil to Mayiladuthurai. 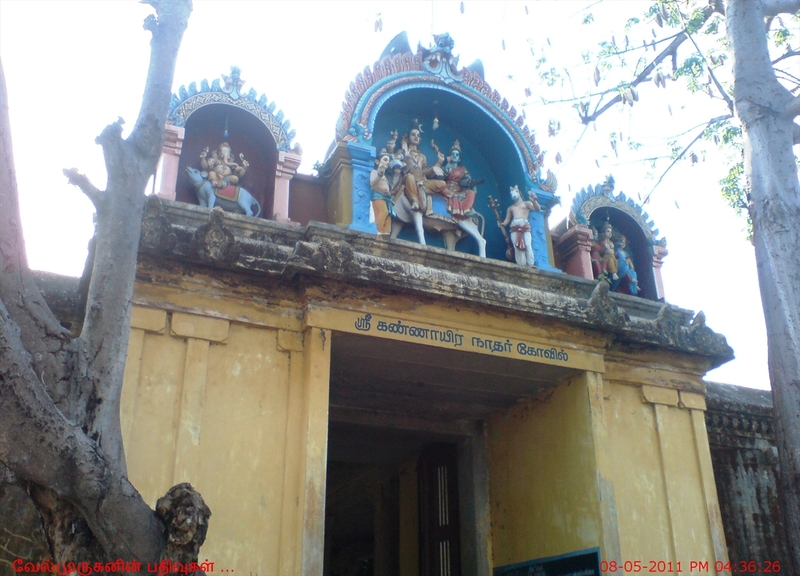 While Driving take a diversion road in Pagasalai to reach the Kurumanakudi (Kannaar Kovil) shiva temple. 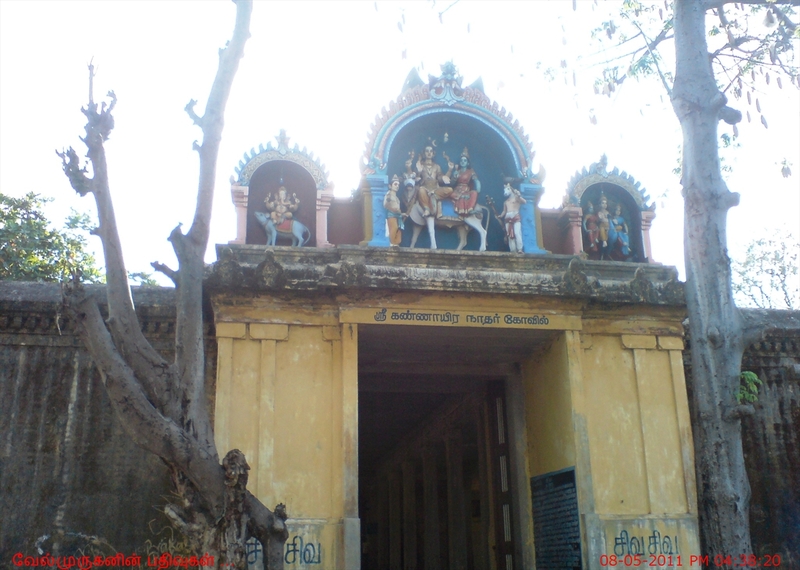 This is the 17th Shiva temple on the northern bank of Cauvery praised in Devaram hymns.The name of the place Kurumanakudi (Kurumani in Tamil) is after the story of Lord Vishnu – dwarf Vamana Brahmmachari demanding 3 foot steps land from emperor Mahabali. 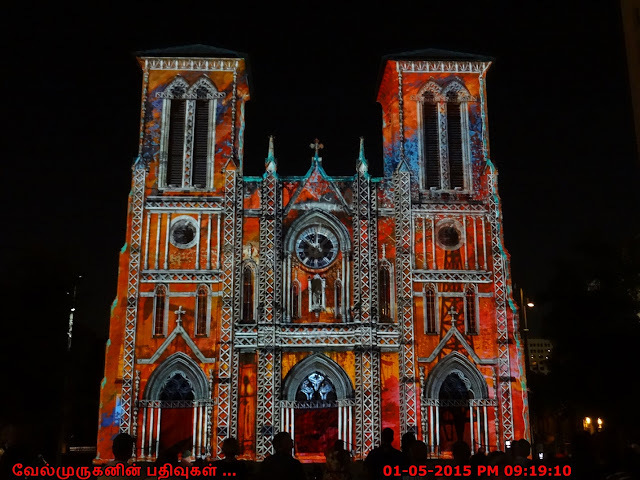 Saint Manickavasagar, Divine poet Sekkizhar and Vadalur Ramalinga Swamigal had worshipped here. Indira the king of Devas desired to have Akalika, wife of sage Gautama. To realize his illegal wish, he came to his Asram in the guise of the sage himself. He also made a trick to send the sage out of the hermitage. Akalika too, though knowing that the visitor was not her husband, yielded to Indira. Meantime, the sage returned home and understood what was happening. Indira immediately took the form of a cat and tried to escape. Angry Sage cursed Indira to have the female organ (Female Genital Organ) throughout his body. He cursed Agalika to become a stone. When Agalika begged the sage for relief, he said that her curse will end on the day when the feet of Lord Sri Rama touched her stone form. Indira went to Brahmma and narrated his sad story and sought a remedy. 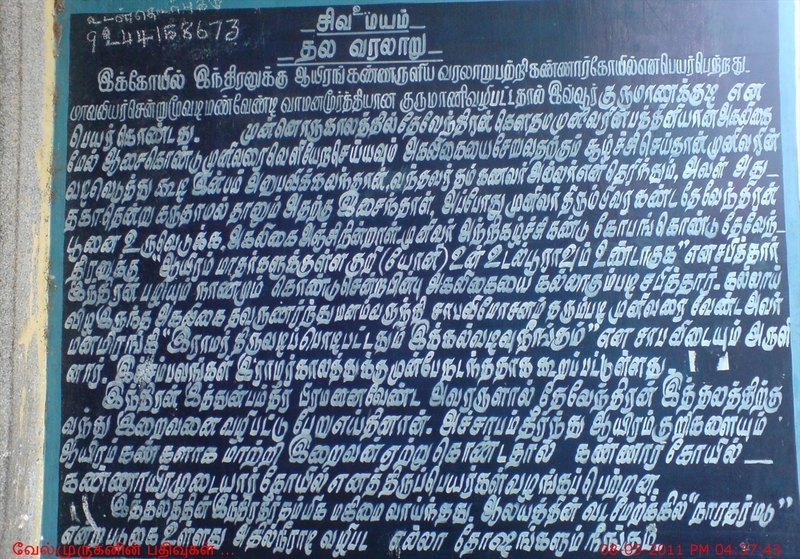 Lord Brahmma advised him to worship Lord Shiva in Kurumanakudi. Indira had a dip in the spring and worshipped the Lord. The Female Genital organ in the body changed into 1000 beautiful eyes which Lord accepted. Hence, Lord is named Kan Ayiram (1000 eyes) Udayar. 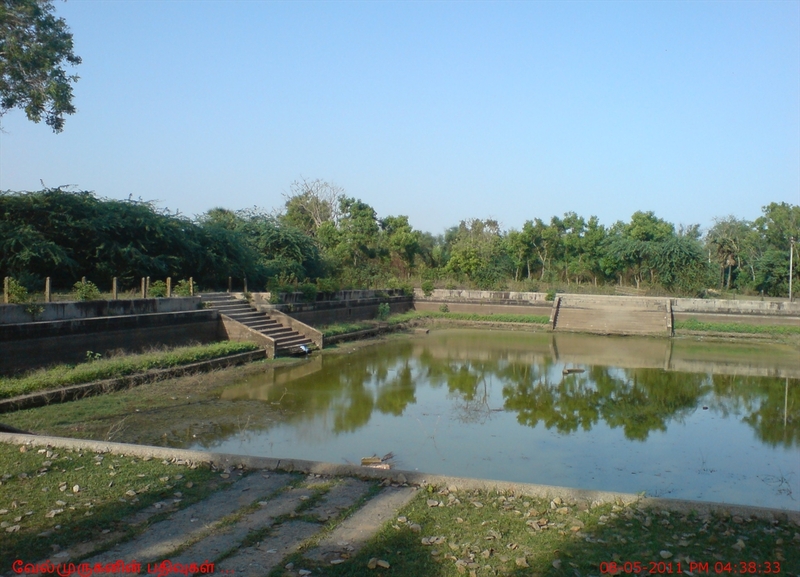 The Indra Theertham tank is located across from the temple.Inscriptions from the time of Raja Raja Chola I refer to this temple as Kuruvaaniyakkudi. 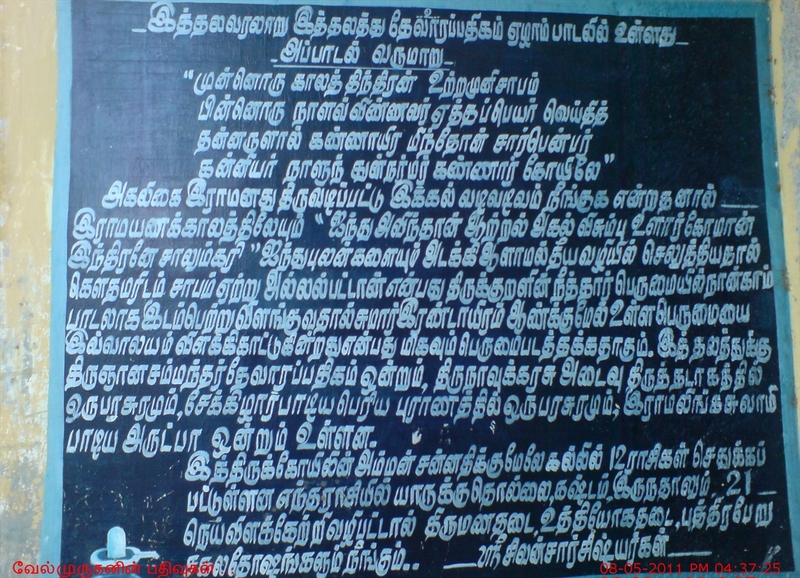 Kurumanakudi is around 3 km from Kathiramangalam in the route Vaitheeswaran koil to Mayiladuthurai. While Driving take a Diversion road in Pagasalai in the route Vaitheeswaran koil to Mayiladuthurai, The temple is open from 6.00 a.m. to 12.00 a.m. and from 4.30 p.m. to 8.00 p.m.